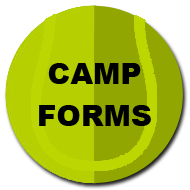 Arrival: campers should be on site at 8:55 am at the outdoor tennis courts , weather permitting. Departure: campers will be at outdoor tennis courts for pick-up, weather permitting. *if raining at arrival or departure, please go to the gym. The security guards at the front booth can direct you! Also, there will be tennis counselors located around the campus to direct you to the gym. 11:15am Back to the courts for fun based games to reinforce newly learned skills. 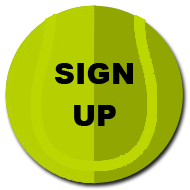 Game based play uses skills learned, rolled into a fun competitive game that makes tennis more fun while they continue to learn the basic fundamentals. 1:15-2:55 pm Back to the courts for strategy sessions, match play against local tennis clubs and competitive play. Thursday and Friday are tournament days! The kids love this part of the week and we do our best to get them psyched and prepared for their competitive play! Weekly Match Play against the Brookline Country Club, Longwood Cricket Club and The Charles River Golf and Tennis Club.